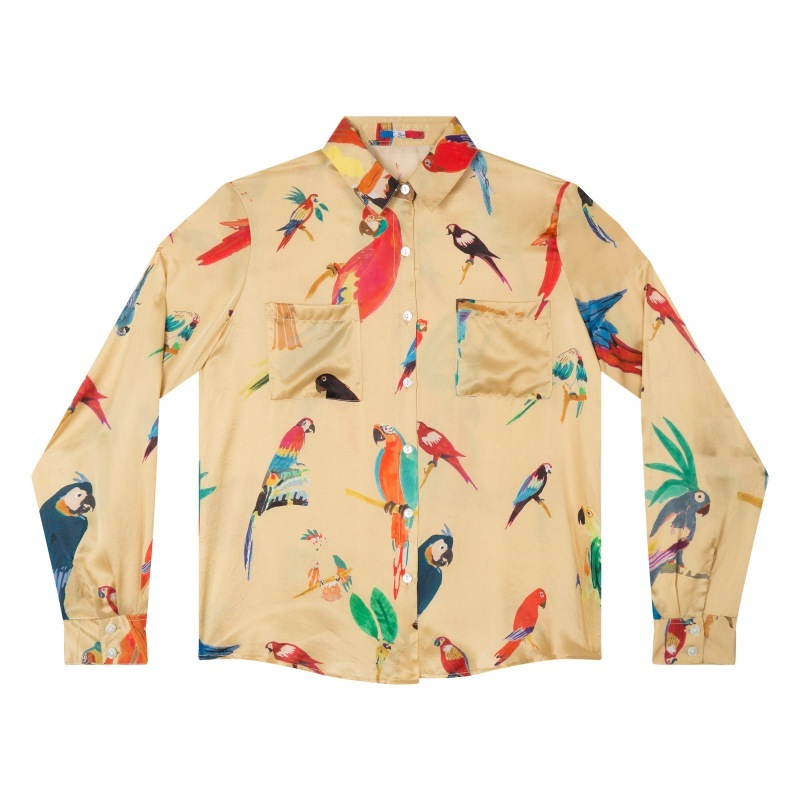 100% silk voile gold button down shirt. Classic shirt collar, double button cuffs. Pearl buttons. 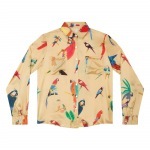 Parrots print all over. One of a kind. Numbered serie. The name of this artwork is "Parrot on gold". For measurements please check our size chart. This shirt sizes small and we advise you to select one size up.